“Section 7.03 of the agenda pertains to the BOE’s priorities for the ’14-’15 school year budget http://www.boarddocs.com/co/jeffco/Board.nsf/files/9HQPUD5F5C6D/$file/WORKSHEET%20BOE%20Prioritization.pdf. 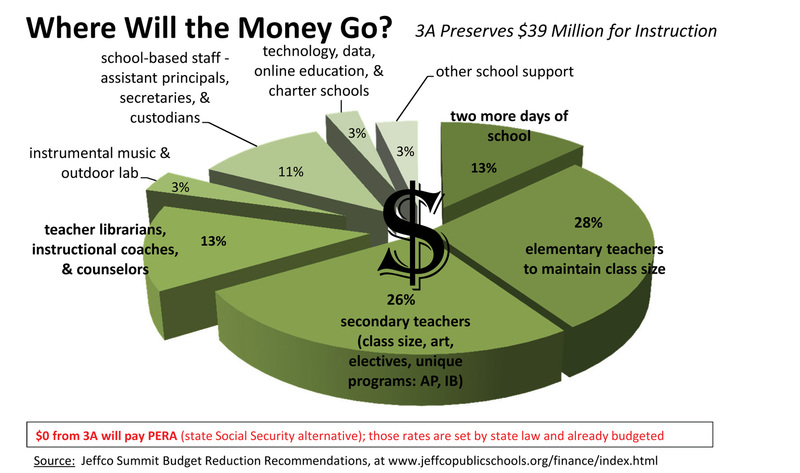 The implications of ignoring a promise made to voters and spending MLO funds in a way that voters did NOT approve or even have a chance to review could impact Jeffco Schools and ALL children of our schools for years to come. If a new board could change the promises made to voters randomly, would our community ever again take a chance on approving additional funding?